The EC draft proposals in response to the UK’s demands have been enthusiastically embraced by Prime Minister Cameron. The wires quote Cameron as saying "I would opt in to EU membership on these good terms." The proposals presented by European Council President Tusk are weak on details that are still to be decided, though Cameron quickly seized upon them to claim: I have delivered commitments in my election manifesto." It has yet to be seen if it is sufficient to convince several of the eurosceptic cabinet members and backbenchers. UKIP and many others will not be persuaded, almost regardless of the particulars. This could have important political implications. In particular, Chancellor of the Exchequer Osborne, who is seen as the most likely contender to be the next Prime Minister, may face a challenge by a eurosceptic candidate such as London Mayor Johnson. The UK won the ability to restrict migrant worker benefits for up to four years. It is not, though carte blanche. The UK would have to demonstrate that its public service and welfare was being strained by the new migrants. It appears that it would require a qualified majority of support by other EU members to invoke the "brake". However, the EC proposals recognize that under current circumstances, the UK would be justified to invoke the option, and it can be expected to receive the support of the EU. One of the governing challenges with the EU is that often decisions have required unanimity. This allowed a small number of countries, and the UK in particular, to exercise a veto. However, in recent years, the use of a qualified majority has increased and this has eroded the UK's veto. What the UK and other EU-but-not-EMU members have been concerned about is that their interests will be overridden by the bloc that shares the common currency. In response, the Tusk has offered another "brake". This one is national governments can block an EU decision that is not backed by countries representing 55% of the EU's population. While other countries may want to have some kind of "brake" on aid for new migrants, the "red card" of EU actions may be more controversial. Cameron wanted UK to be excluded by the EU treaties that commit members to working toward an ever closer union. The UK has often acted like this clause did not apply to it. Tusk proposals formally recognize this without requiring new measures. The UK's existing opt-out clauses mean that it not obligated to further political integration. There will be discussions and negotiations over the next couple of weeks, culminating a heads of state February 18-19. The goal is to reach an agreement then. This would set the wheels into motion for a referendum is late-June (June 23 is the date often mentioned). This is some concern above observers that a referendum much later could be vulnerable to a seasonal rise in immigrant flows. Tomorrow Cameron is expected to makes a statement to the House of Commons on the draft deal. On February 12, Cameron is scheduled to deliver a speech in Hamburg (Merkel to be in attendance) on UK's place in Europe. Assuming the summit a week later is successful, Cameron will endorse the agreement before the House of Commons. There are elections in Scotland, Wales and London on May 5, and once that is over, the referendum campaign will kick-off proper. Since the middle of December, sterling has been the weakest of the majors. It has fallen 4.3% against the dollar and euro. It has been undermined investors pushing out expectations for a UK rate hike, which was encouraged by BOE comments and some disappointing economic data. 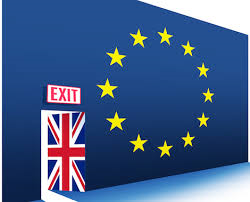 Concerns about a potential UK exit from the EU also weighed on sentiment. We never attributed a strong chance of a Brexit, and note that sterling has not benefited from Tusks' proposals or Cameron's enthusiastic response. More immediately, the UK reports the service PMI tomorrow. It is expected to have slipped lower for the second consecutive month, but its cyclical peak was in October 2013(62.5 and it has been trending lower. The consensus expect a 55.4 reading in January. Thursday is the Bank of England meeting and the Quarterly Inflation Report. The BOE will not change policy, and, at most, the sole dissenter calling for an immediate hike for several months, could give it up and rejoin the majority. The Quarterly Inflation Report is expected to confirm what the market already knows and that is that UK rates will remain low for longer.